After being notified of a Social Security decision, a claimant has 60 days to file an appeal. If this deadline is missed, the claimant usually has to make an entirely new Social Security claim, but in some cases claimants are allowed to file late appeals. The SSA will decide if a claimant has a “good cause” for filing a late appeal. “Good” causes include circumstances that prevent a claimant from filing an appeal on time, whether or not the claimant understood what needed to be done, whether or not SSA or CMS misled the claimant, and whether there was a physical, mental, educational, or language limitation that kept the claimant from filing a timely appeal. If you were very sick when the appeal was due and you could not have contacted Social Security yourself or through anyone else. You will need to show that you were seriously ill; otherwise Social Security will find that you could have submitted the appeal paperwork on time or asked someone to do it for you. If there was a death or serious illness in your immediate family. If records that you needed for the appeal were destroyed by a fire or other accident. You will need to show that the records were destroyed close in time to the appeal deadline and that they were important to your meeting the deadline. For example, if your house burned down the week before your deadline and your denial notice was inside the house, you would have a strong argument that you had good cause for missing the deadline. If you were actively looking for evidence to support your claim but failed to ask for an extension of time before the deadline passed. If you or your lawyer asked Social Security for more information about its denial before the appeal deadline passed. You would have 60 days after Social Security gave you the additional information to file for reconsideration or for a hearing. If Social Security or CMS gave you incorrect or confusing information about appealing your claim. If you did not understand that you were required to file an appeal by the deadline or you were not able to appeal because of a physical or mental problem. If you did not receive a denial notice. You will need proof that you never got the notice. For example, if Social Security mailed the notice to the wrong address, and you had notified them of the right address, then they might find good cause for your late appeal. If you sent your appeal to another government agency within the time limit because you misunderstood that the appeal needed to be sent to Social Security, and the other agency did not forward your request until after the deadline. If there were any other unusual or unavoidable circumstances, and you could not reasonably be expected to have met the deadline. Social Security has published these examples of “good causes” to file late appeals, but this list is not exhaustive. If you believe you have a good cause for filing a late appeal to your SSI or SSDI decision but it isn’t on the list, Social Security may still accept it. The later an appeal is filed, the less likely it is that Social Security will accept it. To make a late appeal, you must attach a written document with the reason for the late submission to the appeal form. Social Security is obligated to consider your late appeal request, but has the right to deny the request if they find there is no good cause. Even if the request is denied, Social Security may consider the date you made a late appeal request as a protective filing date for the next time you apply for benefits. 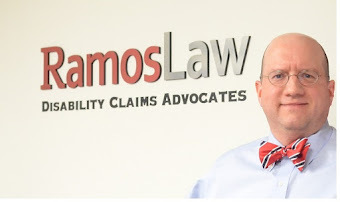 Get Your Free Case Evaluation, Contact (860) 338-5619 or ivan@IvanRamosLaw.com. Simple theme. Powered by Blogger.